Last week I was on a course where the hotel was serving these little beauties with coffee. I had to come home immediately and try to recreate them. They're everything I love in a cake; simple, unassuming and delicious. Cream together the stork and the sugar until pale and creamy, next slowly add the eggs beating a little at a time until well incorporated, add the cream, vanilla and zest, mix into the batter. Sift the flours and baking powder together and fold into the egg batter. 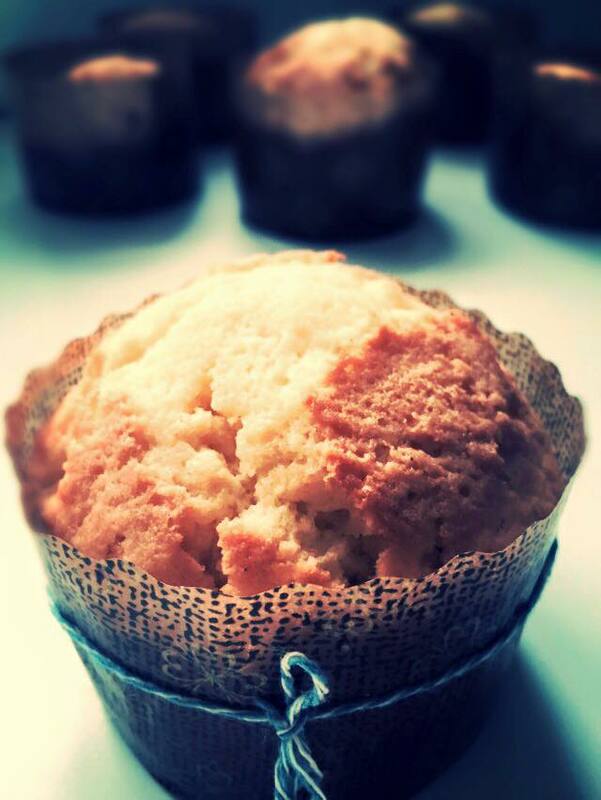 Pour into 6 muffin cups or traditional Bolos de Arroz cases. Bake at 200˚c for 5 minutes, turn the oven down to 170˚c and bake for a further 15-18 mins. *You can find rice flour in the specialist aisle in the supermarket.